DG11 sight glasses are used to visually monitor the flow of liquids in pipe systems. Depending on the type of liquid and flow volume, these devices are used with a fully clear bore or with a flap or rotor (for transparent liquids). 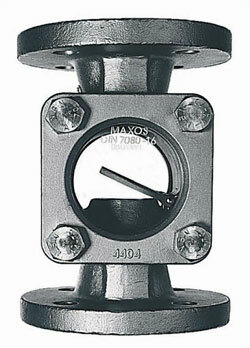 The DG11 Sight Flow Indicator permits reliable monitoring of the function and performance of single devices or entire systems.